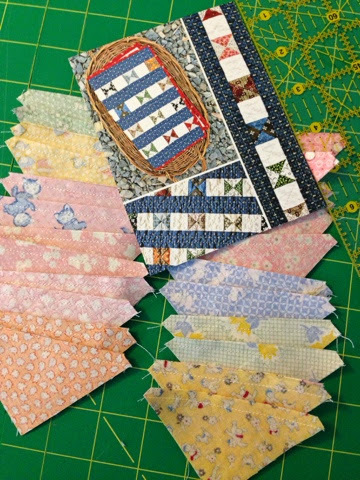 into why we love quilting and sewing. 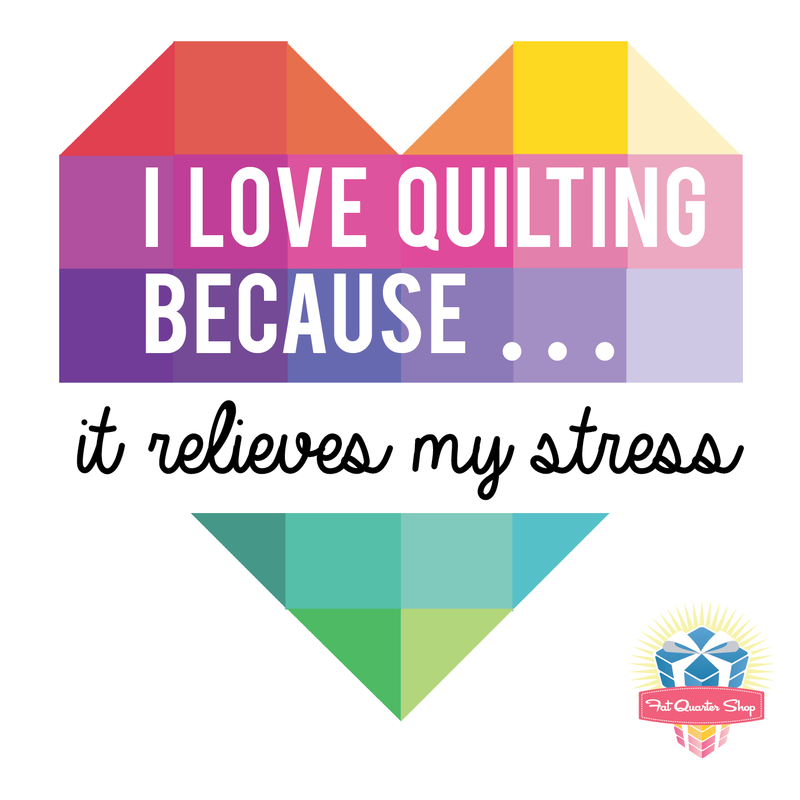 I love quilting because it relieves my stress. my family responsibilities and life in general. 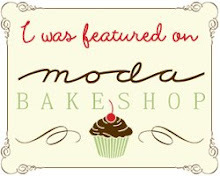 way to slow down from the normal hustle and bustle of life. 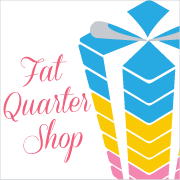 If this is your first visit here, here is a little about me ala the Fat Quarter Shop. While I was in dental school I was an avid crocheter. I made dishcloths, miniature and life size afghans and toys like a mad woman. After about 6 months my hands started to show signs of carpel tunnel and I couldn't crochet anymore. That was devastating to me. 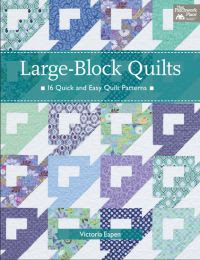 One day while checking out the craft department at Walmart, I stumbled onto the book Little Quilts All Through the House. I had some experience with sewing since I was 8 so I decided to make the log cabin. 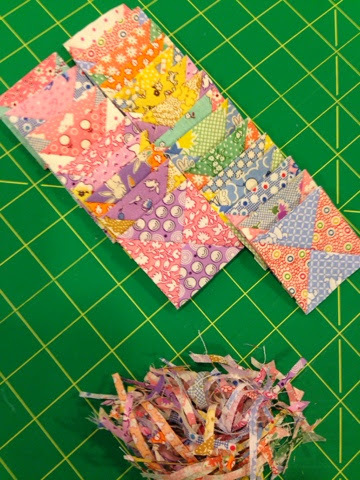 I had a rotary cutter and mat but no rulers so I free hand cut the strips. It's the wonkiest quilt I own but it hooked me on quilting. 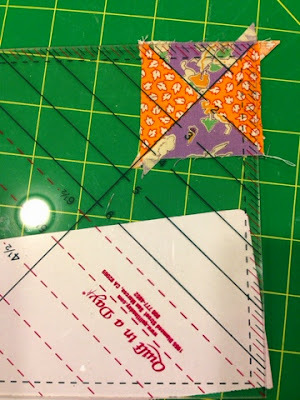 When did I know I was a quilter? Gosh, well I think I knew I was a quilter when I joined the guild in Rochester, MN back in 2002. Once I moved to Ohio I joined the quilt guild here. Have I ever had a quilting injury? I cut the end of my finger with the rotary cutter. 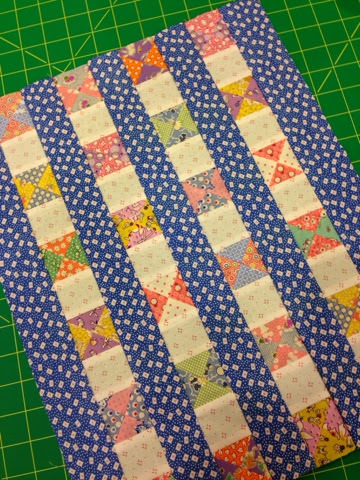 Again it was before I had any quilting rulers to help me cut. There were no instructions or classes available at that time. My nearest quilt shop was 1 1/2 hours away and no online shopping existed in 1996! 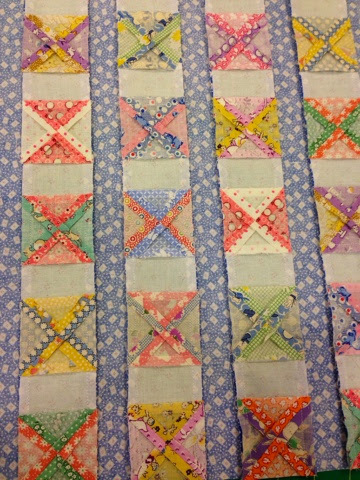 I still 'practice' my quilting. I began sewing at age 8.
made crewel, tatted, and countless other crafts. Hour Glass mini post card pattern. I like to make small projects but they can be challenging. the most invaluable tool I owned! a low volume 30's background to help the hourglasses pop. Each hour glass finished to 2" and my challenge was trimming! I learned to use a specialty ruler. The next project on my list is the Sew Together Bag, now there's a challenge! 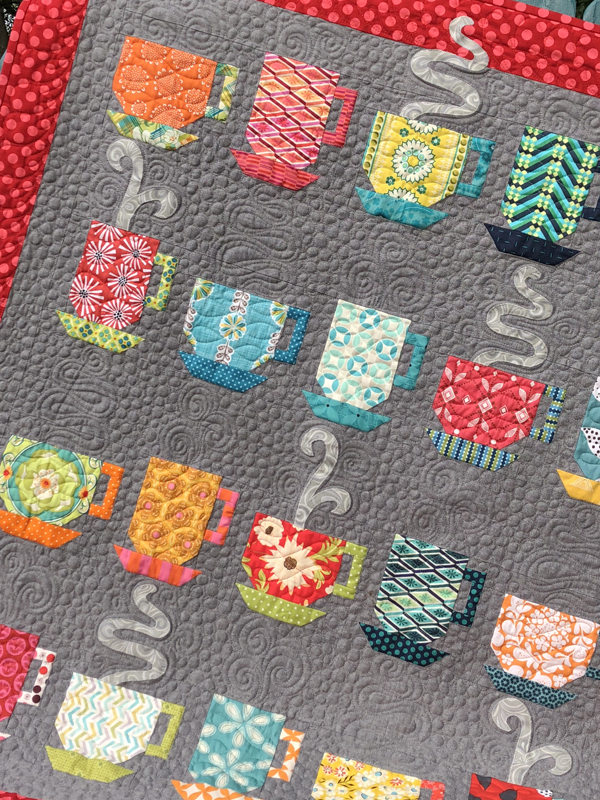 the fat quarter shop has a free pattern HERE! p.s. my etsy shop is running a 25% off sale to celebrate National Sewing Month!